from his Book "Parent Talk"
Scott Middleton, CEO of Agape Senior, writes in his book “Parent Talk - The Nine Conversations to have with Your Aging Loved Ones” about the multiple challenges families face dealing with aging parents. 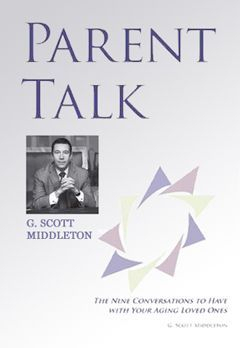 Here, the nine conversations from Parent Talk are brought to life in video format presented by the author G. Scott Middleton. Scott uses real life stories and examples from his decades of experience in the senior care industry to illustrate the importance of having the nine conversations with our aging loved ones in a timely manner and not waiting for a crisis of care when tough decisions need to be made under pressure. "The truth is our quality of life can suffer dramatically if we attempt to live in complete isolation. But in the case of a declining senior adult, especially when the spouse is no longer living, the lack of interaction with others poses one of the greatest and most debilitating threats to their well-being — isolation. The lack of adequate socialization is the silent enemy of an aging senior that too many “caretakers” fail to understand or consider." Thank you for contacting us, someone will contact you with an answer as soon as possible. In this video, Scott puts the driving conversation into action with his own parents and tells an entertaining story about the process and results of taking his own advice. Scott covers why you will want to have these conversations early, why it is important to have a plan and signs that it is time to have this conversation. Scott also offers tips and strategies for setting the stage for this important conversation. In conversation two, Scott explains why it is important to have a physician that understands the needs of a senior adult and has the experience to coordinate care when the senior is seeing multiple specialists during the course of an illness or injury. Scott also gives tips about what other services to look for with a primary care physician and pharmacy that will help you better manage the on-going care of a loved one. In conversation three Scott talks about the importance of medication management and why he believes many hospitalizations of our senior population are caused by medication mismanagement. Scott also gives tips about when to discard old prescriptions and some of the complications that can arise when over the counter medications are combined with doctor prescribed medications. In conversation four we learn why seniors especially seniors living alone may not be getting proper nutrition on a daily basis. Scott talks about some of the causes and consequences of poor nutrition and offers some suggestions about ways to improve overall health through proper eating habits. In conversation five Scott addresses the cleanliness and hygiene of the senior and the home they live in. As seniors age the bathing process becomes difficult especially in an older home with small bathrooms which are difficult to maneuver. Scott gives helpful insights on what family caregivers should look for in the home that will tell a story about how well the senior is able to live in the home. In conversation six Scott introduces us to a person that could have avoided a lengthy rehabilitation if he had owned a personal emergency device when he fell in his home garden. One of the biggest dangers for a senior that falls and is injured is not being found in a timely manner. Many seniors suffer more severe health issues from not being found after a fall then from the injury sustained in the fall itself. In this conversation Scott advises that you talk about living options early-on and ask pertinent questions about what will happen when your loved ones can no longer live in their home. Most seniors will say they do not ever want to leave their homes, unfortunately most homes were not designed to handle the issues seniors face as they age. Narrow doorways, steps and constant maintenance are just a few of the challenges that staying in the home presents. There is a subtle accumulation of stuff as we go through life and usually at some point as we age all of our stuff starts to become unmanageable. This is true for material things as well as financial information. In many marriages one spouse is better at keeping up with this information and the other spouse completely ignores the whole process. Scott recommends in his conversation on finances that all financial documents be assembled into one location with a family member, trusted friend or attorney aware of how to access it in an emergency. 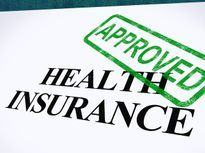 Medicare Part B, Medicare Part A, Co-pays, Long-Term Care Insurance, Supplements, it can all be very confusing. In conversation nine Scott offers some suggestions about how different choices can impact future care. Scott also addresses some of the misconceptions about what services Medicare pays for and what services are normally private pay. Scott also gives some examples of how Long-Term Care insurance can fit into the equation and how it could help protect your assets in the future.